Valero Texas Open betting tips & predictions – the Valero Texas Open was first played in 1922 as the Texas Open and is the 3rd oldest PGA Tour event. The tournament has always been played in San Antonio and is the oldest Professional Golf tournament to have been held in the same city its entire existence. 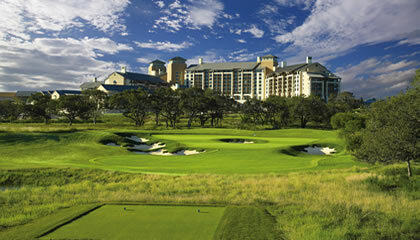 Since 2010 the Valero Texas Open is played at the AT&T Oaks Course at TPC San Antonio. TPC San Antonio opened in January 2010 with two 18-hole championship golf courses designed by Pete Dye (AT&T Canyons Course) and Greg Norman (AT&T Oaks Course). In 2007 and 2008 the event was part of the PGA Tour Fall Series as an alternate tournament to the Presidents Cup and Ryder Cup. This year the tournament moves to the slot prior to the year’s first major championship. As the last full field event before the Masters, it gives players one last chance to get into the field with a win. The AT&T Oaks Course has served as the venue for the Valero Texas Open since 2010 and is the eighth local course to have hosted the event. The course was designed by Greg Norman with Sergio Garcia as player consultant. The 7,435 yard Par-72 is a traditional design that features narrow, tree-lined fairways. The collaboration between Norman and Garcia produced a course design that focuses on quality ball-striking, with an emphasis on precision tee to green. Driving Accuracy is important and any wayward tee shots will be punished. In 2011 Kevin Na carded a 16 on the Par 4 9th hole in the opening round. The course requires patience and usually ranks as one of the more difficult for Greens in Regulation. Greens will be missed so an important statistic to consider is scrambling. The wind tends to be a factor in Texas, so experience in manoeuvring the ball in windy conditions can be important. Last year, Andrew Landry won the Valero Texas Open for his first PGA Tour victory. The 30 year old Texan carded a final round -4 (68) for a two stroke victory over Trey Mullinax and Sean O’Hair. Mullinax closed with a 69 a day after breaking the AT&T Oaks Course record with a 62. Landry’s game tee-to-green was superb finishing the week 1st in the Strokes Gained Tee-To-Green category and 1st in Strokes Gained Approach-The-Green. His play with the flat-stick duly complimented his tee-to-green play finishing 8th for Strokes Gained Putting. Landry was also T29 for Driving Accuracy, 46th for Driving Distance, 1st for GIR and 4th for Putts per GIR. The 2017 champion, Kevin Chappell landed his first PGA Tour title at the Valero Texas Open. Chappell birdied the final hole to finish one stroke ahead of Brooks Koepka. His play tee-to-green for the week was on point. He finished 2nd for Strokes Gained Tee-To-Green gaining an impressive 13.265 strokes on the field average for the tournament. He finished T35 for Driving Accuracy, T25 for Driving Distance, 3rd for GIR and 21st for Stokes Gained Putting. In 2016, Charley Hoffman birdied the final hole to finish -12(276) and beat Patrick Reed by one stroke. It was his fourth win on Tour and a breakdown of his strokes gained shows that his putting contributed 47 percent of his total strokes gained on the field and his approach shots contributed another 37 percent. Abraham Ancer 40/1 (E/W) – was born in Texas and has dual American and Mexican citizenship. A local resident, this is his third look at TPC San Antonio with no form of note in his previous two visits. His last stroke play outing was a very respectable T12 at TPC Sawgrass where he finished the week 8th for Strokes Gained Tee-To-Green. Has no stand out feature to his game, but does most things well so no surprise to see him place just outside the Top 10 in this week’s Stats Analysis table. His Players performance and stats are enough to put him on this week’s radar. Has the skill set to make some noise this week. Jhonattan Vegas 45/1 (E/W) – although a regular visitor to TPC San Antonio he has no form of note there. That said, his Current Form is the polar opposite. His last 3 stroke play results read T16 (Honda), T23 (API) and a T3 (Players). Around TPC Sawgras he was 14th in SG:Tee-To-Green and 7th in SG:Putting. A solid all round game puts him just inside the top half of this week’s Stats Analysis table. Willing to overlook his poor course form based on other compelling variables. Great each way value.